A lot has been written about career ladders, and how different companies have implemented them. This is the first article in a series explaining how we went about building an Engineering Progression Framework at carwow. In this post, we will introduce our TOIL framework, talk about our process of getting there, and establish why as engineering managers we care about progression. 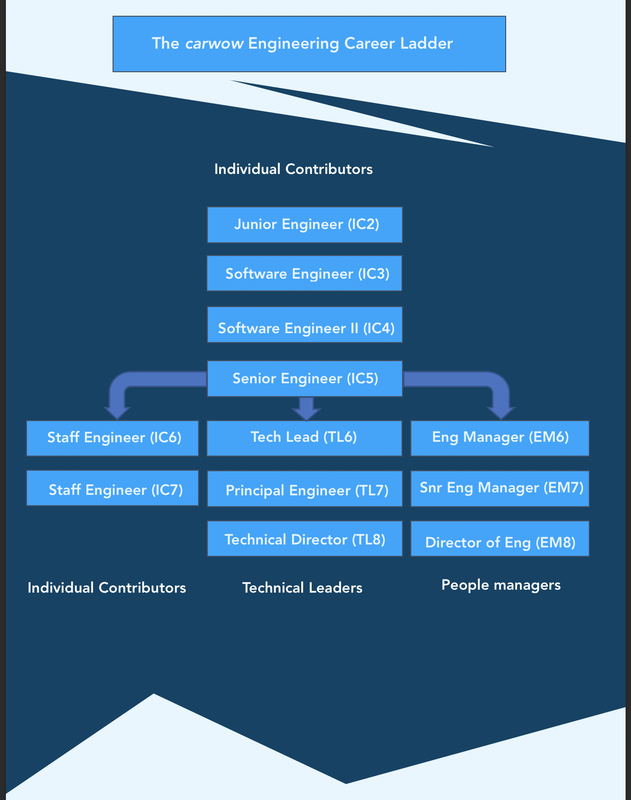 Individual Contributors: focus on delivering value to the business, by building and maintaining software as a part of the engineering team. Technical leadership: individuals with strong technical expertise who are focussed on growing and honing their technical skills, leading by example, developing the team, and are responsible for team output and delivery. People managers: individuals with development and leadership expertise who are focussed on leading and growing the team. Attach leveling guidelines to Engineering roles so we can normalize ladders across the company. This is the dictionary definition of toiling. Working extremely hard or incessantly. This to me is what work looks like in an environment and culture where there is no guiding principle. This is what work feels like in an engineering culture where you don’t know where you are going, what you are going to be doing over the next 6–12 months. Incessant hard work. So we decided to redefine this word for ourselves and make it an acronym for good instead. Engineering is hard work at startups, but we want it to mean something, something that will allow us to know we are making progress. TOIL is a backronym for Technical Skills, Ownership, Impact, and Leadership. At carwow, we care deeply that an engineer at every level demonstrates key behaviours against these four critical skill sets. 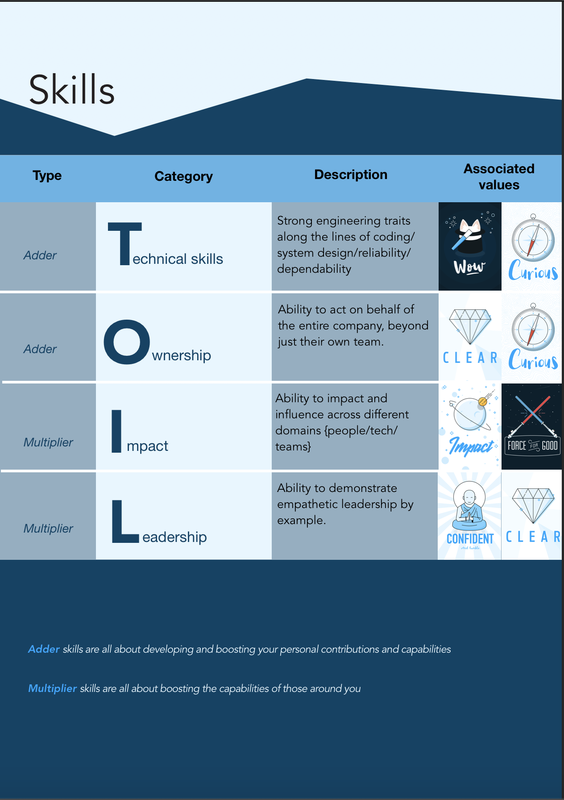 Tech skills and Ownership are “Adder” skills; self-serving skills that individuals upskill and demonstrate by themselves. Impact and Influence, and Leadership are “Multiplier” skills; replicative skills that individuals demonstrate with respect to their peers and teams. As individuals progress further up the ladder, the emphasis on behaviors moves across TOIL. There is a lot written about how different companies have built their career ladders. This blog post by Camille Fournier on creating an Engineering ladder from 2015 is widely regarded as the founding piece of work to start with by a lot of startups, including us. Also, this collection on progression.fyi is a very useful place to see what other companies have done in the space. A big thanks to companies like Rent the runway, Songkick, Monzo, Deliveroo etc., who’ve made their processes public that have helped us borrow ideas and many other companies do this well. We didn’t want to reinvent the wheel since there was so much research out there already, but we also didn’t want to pick up everything. We’ve seen many complicated matrices on career progression websites, but past a certain point, there’s just too many things to try and measure for each developer. On the flipside, we didn’t want it to be too trivial, which would then not be enough to clearly gauge if we were upskilling engineers enough. We wanted it to be driven by key behaviours and evidence, and be able to add example behaviours to each level so individuals could easily demonstrate expectations. carwow is a values-driven organization. We deeply care about our values. 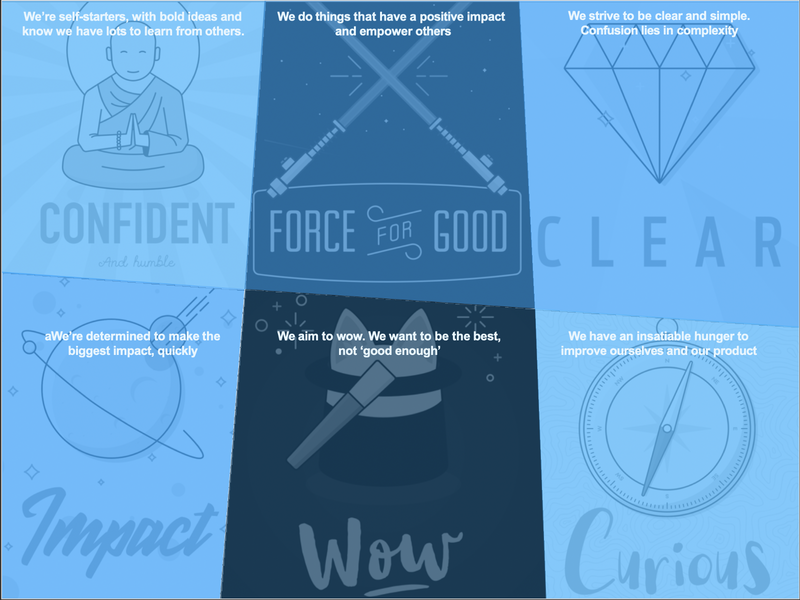 Based on those values, we decided to go with four skills that we expect everyone at carwow to demonstrate in different forms at each level. They are Technical skills, Ownership, Impact and Influence and Leadership. We believe these four will allow us to satisfy all the tenets we started out with, at least as a v1 we can roll out. They also encompass other important skills such as communication in the form of behaviors. Why do we care as Engineering managers? When I started out as an engineer 10 years ago, my Engineering Management team seemed to know everything about creating a bloom filter but didn’t know anything about what I needed to do to get ahead in my career. And I wasn’t alone; everyone who joined in along with me had the same complaints. I knew the only person who could guide me in this was my direct manager and not the people team, so I ended up building a simple framework to help myself and others grow in the company. A few years later, as I progressed, my management team at the time didn’t have a definite answer to whether I should go up the management path or technical path, and would almost always send me the way of the people team even though I knew my EM was the one who I had all my interactions with. And the need for clear career development is quite clear. 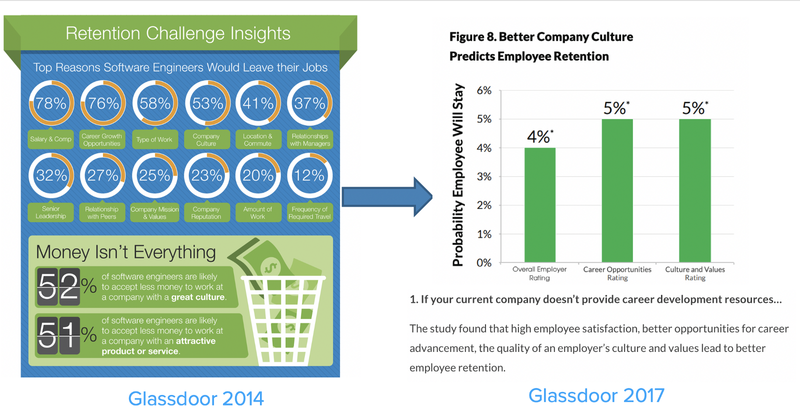 Glassdoor publishes a study surveying tech companies every year and it’s quite evident to see how in 3 years, the top reason for engineers quitting tech companies went from Compensation to Lacking career development resources. Anything that beats money as a reason has to be important, right? In our next post, we will present what TOIL looks like at each level with behaviours, talk about how we plan to roll it out, metrics that we are looking at do define success and next iterations. Do you have an interesting story about how you’ve done your career ladders? Let us know!